Digital nomad, work from homer, distributed team – there are many ways to label virtual companies, or a company that doesn’t feature one physical office. I work remotely, and it doesn’t escape me every day how lucky I am. No commute to work or worrying about weather, no layering up for a frigid office even in the summer months, no one to steal your lunch out of the community fridge. Plus I really love my job! 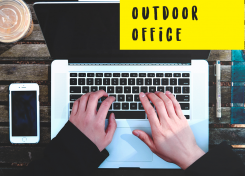 Virtual companies are becoming more popular than ever, and for people who want the benefit of a home office without the stresses of being their own boss, it’s important to know how to navigate these sites! By virtue of having a remote job already, I’ve become pretty familiar as to where they get posted, and what to look out for to know you’re looking at a legitimate, reputable company. 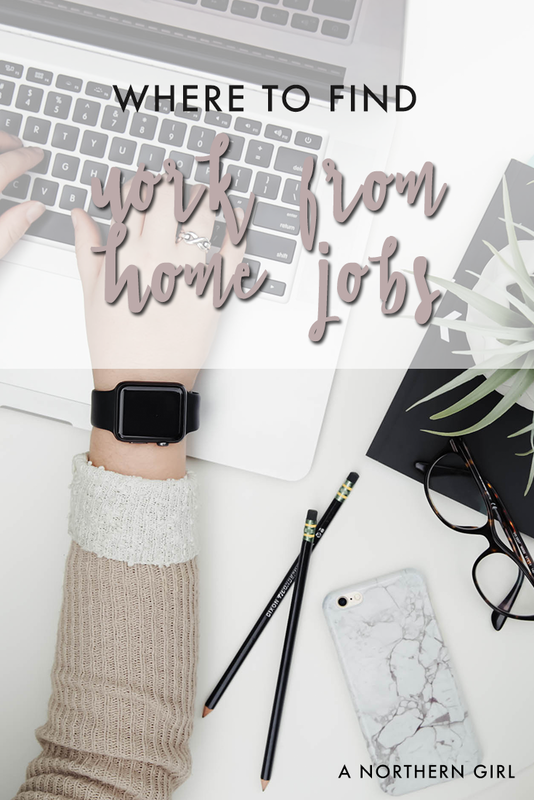 Today I’m sharing some of the tips I’ve given my friends when they’re on the hunt for remote jobs! Direct company websites: As with traditional jobs, every remote company will post their openings on their own website first. If there’s a specific company you have your eye on, check in with their jobs page occasionally, and sign up if they have a newsletter they announce postings to. Eventbrite is a good example of a company that features this! This helps to make sure you’re on a legit website and gives the benefit of applying directly without any third party application or the possibility of a trimmed job description. Some companies that hire remote workers include Basecamp, Amazon, Museum Hack, and even Teach for America! Jobspresso: This is my favorite remote job aggregator, and the place I have all my remote-seeking friends start. They have a great interface, easy search tools, and put the job title as well as the company on the front page. Jobspresso also features easy categories, so you can browse through the job types you’re looking for in one click. They tend to get more customer service and marketing/content jobs than other websites mentioned here. WeWorkRemotely: Not the prettiest of the sites I’m outlining, but super high quality jobs posted here, and it’s affiliated with Basecamp. This also means that they’re updated a bit more infrequently and don’t have quite as many positions as the other sites, but they’re highly vetted and of good quality. Remote.ok: Another one with a nice interface and easy-to-use features, Remote.ok tends more toward developer or UX/UI jobs. They also have nice tabs to click on to select your focus. They occasionally route searchers to other job search sites to apply instead of to the company directly, but if you’re looking for a “hard tech” position, it’s a good resource to keep in your bookmarks. Remote.co: No flashy design on this site, but lots of different types of job categories. They post the job descriptions locally on their site and direct visitors to the company’s site via the “Apply” button. Remote.co has broader job categories to choose from, including Transcription jobs, which is a great work from home opportunity! Angelist: The other websites I’ve mentioned so far are geared toward a variety of different job categories, but Angelist is different. They work specifically with startups, and as a result, they often have different kinds of compensation packages. By virtue of working with startups, their jobs are mostly in the tech space, and they often have jobs at the executive level. Indeed: Maybe the most popular job search website, Indeed can also be used to look for remote jobs. In the “where” box, enter “remote.” You’ll have to do a bit more manual searching to make sure the position you’re interested in is actually remote and not office-based. I suggest finding a couple of search terms to use as well, like “social media” or “customer support,” otherwise their results can get overwhelming and confusing. 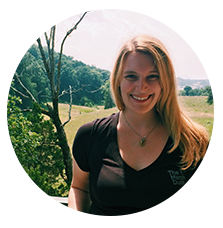 The Muse: Not only a job search site, The Muse also has a great blog with tons of helpful career advice. I’ve been an avid reader for years, and their job postings are really robust with a variety of different job types, categories, and levels of flexibility. Choose their “work from home jobs” top search, or type “remote” into the search box. If you’re multilingual, The Muse has more opportunities for translation or bilingual speaking than I’ve seen on many other sites. LinkedIn: Like Indeed, you can used LinkedIn to search for remote jobs in addition to physical companies. Enter “remote” into either of their search boxes, but you’ll have to do even more work with these results to see if the position is truly remote or if they’re just sensing that word elsewhere in the post. There are a lot of volunteer posts that are listed as well. That really makes LinkedIn the absolute last resort for virtual job searches for me. Idealist: Non-profits are the focus of this job site, with both paid and volunteer positions, remote and in-person. You’ll be able to toggle your search results to “remote (worldwide only)” which lets you use their other search options, like job type and area of interest. Flexjobs: This paid service features exactly what their name says – flexible jobs, whether that’s in a telecommuting position, a direct hire or freelance gig, or traditional roles with more flexibility built in (think half-time in office, half-time at home schedules.) Full-time, part-time, and contract roles are all featured on Flexjobs as well, and even short-term retail jobs if you’re looking for something with a fast hiring process outside the home. The widest variety of jobs are included here – they even have an “Animals & Wildlife” category. I know many people who have had great success with Flexjobs and cancelled their membership after a month because they’d already found a job there. Craigslist: Thinking outside the box when searching for remote jobs on Craigslist is key. There are a lot of ways to use their search tools – by toggling on the “telecommute okay” option, or simply leaving that blank and searching for “remote.” Try it across a variety of big city Craigslist variations – cities like Seattle, San Francisco and New York City are great places to start. Upwork: Upwork is controversial among freelancers, and for good reason. It can be rife with bad leads, underpaying jobs, and dead-end hires. They’re not all bad, though – because work is tracked by Upwork’s app, your billing is done automatically, and there is a bit of built-in protection vs. just being paid directly. I strongly suggest using caution with this site, and wouldn’t recommend submitting a proposal for any client that doesn’t already have a good rating and verified payment. Clients can also audit your billed hours and decide they disagree with what you (and Upwork’s app) have tracked. I’ve applied to a few jobs here and never gotten chosen for a position, but I keep the account active because occasionally there are positions with small businesses I’m interested in that only accept applicants here. This is a fairly comprehensive list – like most companies, remote openings can be posted across multiple services, so you may see overlap from site to site. Like traditional jobs, these are highly competitive, so be sure to check sites often so you can get ahead of other applicants – the company might be looking for someone fast, and you could miss out on the opportunity to even apply if you wait. Job search sites are just the tip of the iceberg, though – there are plenty of other resources to employ and check out, like Facebook groups, professional organizations, and your own network. If you know someone who works remotely, let them know you’re looking to make the switch – maybe you’ll be the person to fill the next opening at their organization! Like this post? 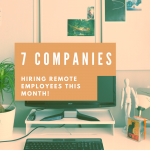 Be sure to subscribe to the mailing list for more posts, and to be notified when exclusive resources (like a comprehensive spreadsheet of companies that hire remote employees) are available! 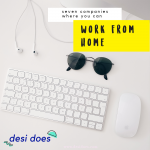 OMG, I have been looking for opportunities to work remotely and this list is so helpful! Now, I don’t have to stress too much on how to go about it. Your post sums it up perfectly! I’m glad to hear it! Be sure to sign up for the mailing list – I’m working on a more complete resource like this. I will have to save this and share it! 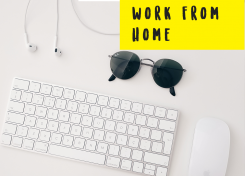 I always see people asking about work from home opportunities! It’s becoming more and more popular! So great, thanks for sharing all these options with us! I literally had no idea all these even existed, apart from LinkedIn and Upwork. Super helpful! Exactly what I’ve been looking for. Hi Susanna. many of these remote job search sites and resources are applicable worldwide. Each company has its own guidelines for hiring. Hope that helps!